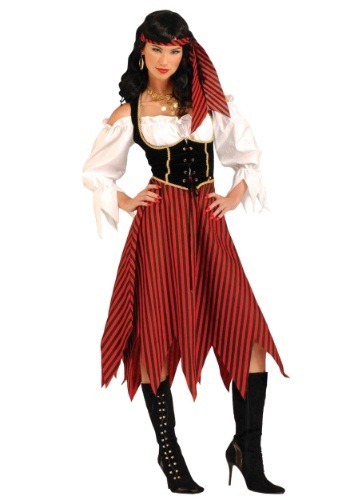 Adult Pirate Maiden Costume By: Forum Novelties, Inc for the 2015 Costume season. This is one pirate wench you wouldn't want to mess with because she's also a skilled swordsman! She'll make you find the buried treasure, dig it up, then ruthlessly take all of it! She might even make you walk the plank afterwards!